Have you noticed our delicious Oregon made food items we have in? 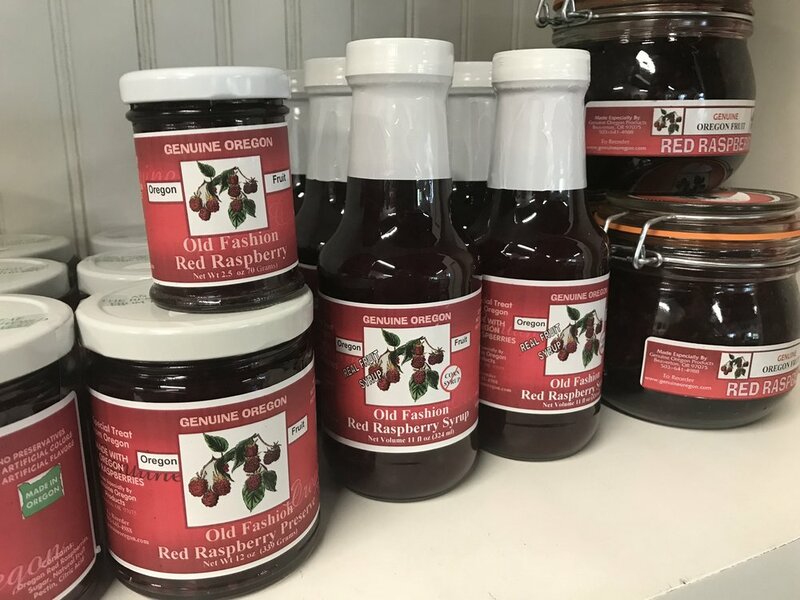 From Genuine Oregon there's syrups and jams in Marionberry, Red Raspberry, Huckleberry, Apricot, Strawberry, Mountain Blackberry, Black Raspberry, and Cranberry. And Dry Roasted Hazelnuts too! Genuine Oregon is one of the "leading makers of the freshest, locally-grown and harvested Oregon fruit products." Their products taste delicious without adding preservatives, refined sugars, or artificial ingredients. 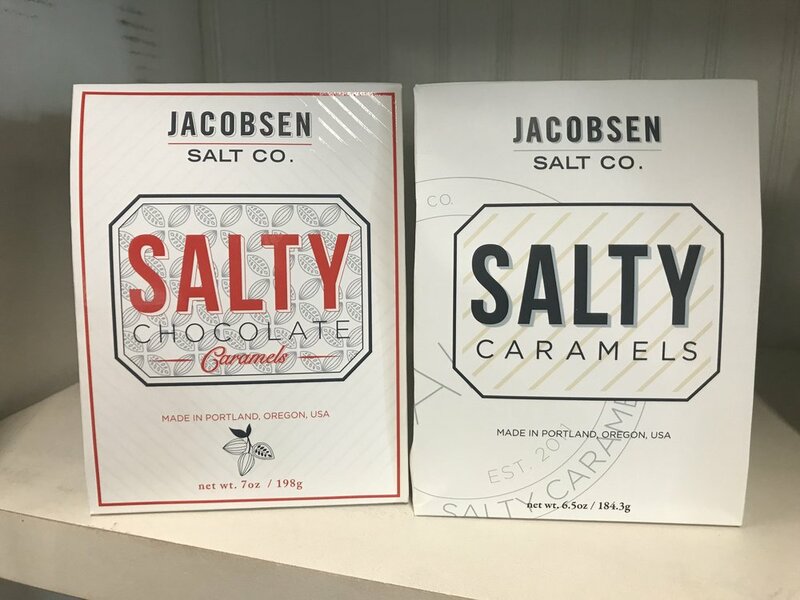 Also in, from Jacobsen Salt Co., we've got sea salt caramels, seasoning salts, and Bee Local honeys. 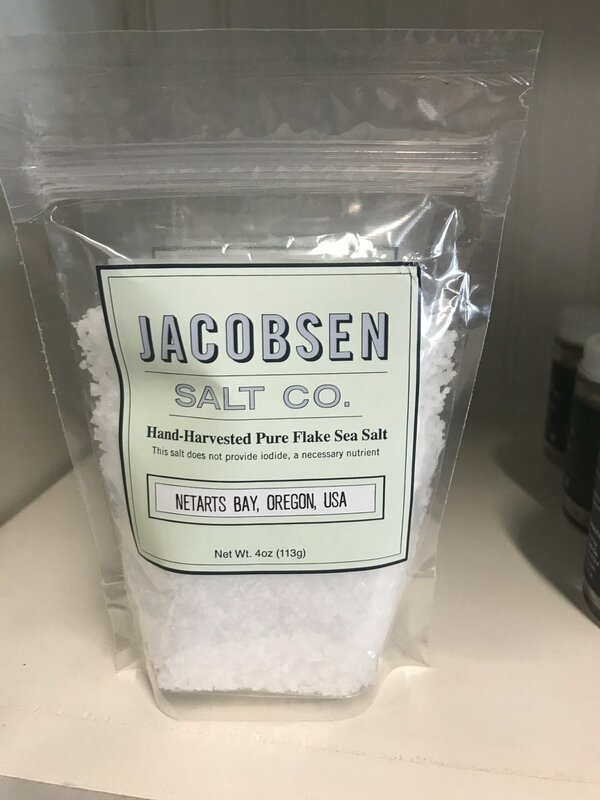 Founded in 2011, Jacobsen Salt Co. harvests salt from the cold, pristine waters of Netarts Bay on the Oregon Coast. Their salts are perfect for professional chefs and home cooks alike. You can satisfy your sweet-tooth with their Sea Salt Caramels in original and chocolate flavors. Bee Local joined the Jacobsen Salt Co. family in 2015. Bee Local is "committed to producing exceptional honey that is sustainably harvested, never heated, treated, blended, or ultra-filtered."